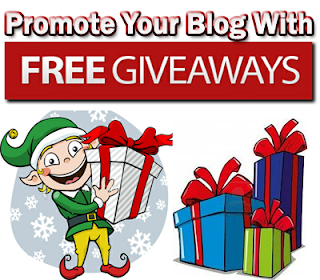 How To Promote Your Blog With Free Giveaways? As the time is passing, the world of blogosphere is getting bigger, better and hungrier. The numbers of blogs are growing at record breaking pace and so does the competitors. People are still finding it difficult to promote their Blog, usually they give more importance to Social networking while some of them use commenting, but factually none of these methods could last for the longer period. One of the ideal ways to promote our blog is to start or host a free giveaway through this service we can offer free gifts to our loyal readers for doing odd jobs like sharing our website on their social network and etc. Giveaways usually results in engaging audience because the gifts which we offer makes our visitors to revisit our site again and again. When we think about free giveaways the first thing which clicks our mind, why we should purchase a certain thing and would give it to our visitors for free without even charging a single penny that appears outrageous but truly it will work as a future investment for your business. Some people offer several kinds of giveaways to promote their blog on a high scale, while few of them use it to give more exposure to their newly introduced product but to make our Giveaways successful we need to identify what our readers would like or what they need. You may communicate with your readers and should ask them about their likes and dislikes, and on mutual understandings you can finalize a stunning giveaway for them. We have seen lots of blogs which are offering giveaways but due to lack of law an order they are not getting any attention. To maintain free and fare giveaways we need to craft complete instruction manual for our visitors, which will guide them from rules to the criteria of winning. However, the biggest worry of a reader is that whether the site turns out to be false or if it’s real then would I be the winner? Try to keep everything clear-cut so it doesn’t create any sort of misconception among the readers. Most commonly bloggers thinks that to run a successful giveaway they need money, but if you are out of money then you may consider some of its alternative if you are smart enough, then with ease you can pull-off your first giveaway on your Blog. If you have command over designing i.e. Photoshop, then you may start a giveaway about logo designing and can pull-off handsome traffic to your blog but if you don’t fancy your chances about designing then see the following. Start a Giveaway where three lucky will give free consultant advices for 1 month. Start a Giveaway where winner will be able advertise on your blog for one month. Create a Special section in your blog, share your secrets in it and the winner will get access for 1 month. No doubt, everything in this gigantic world is not free so in these circumstances manage a Giveaway would act as the icing on the top. Giving free gift to your readers is so crucial, that most of the top blogging companies always keep on giving Giveaways to their loyal spectators This will not only increase your credibility but your reader will respect you. Offer Unique Gifts: Remember any one can give Freebies but it’s crucial that your gifts are unique and make sure anyone else is not giving the same stuffs. High Quality Gift: The gift you have selected should be of finest quality so the winner will feel satisfaction that his hard-work has no gone in pale. Don’t Fake: The world is full of fakers and scammers but you are not among those so make sure you keep your promise by giving the decided gifts to the winners. So, buddies do you like the concept of free giveaways surly these freebies will make a new era in the world of Blogging not only for spectators but also for bloggers. We are also planning to launch our first ever giveaway sooner or later at the end of this month so, stay tuned. Tomorrow we will share a Giveaway widget For Blogger and WordPress which will give more command to you till then peace, blessings and Happy Giveaways earning. awesome, where is mbl's giveaways?